Talk about a "blast from the past"! I was pleasantly surprised recently to receive an email from Ivan Tuñon who had been directed to the web site by Joe Blake. 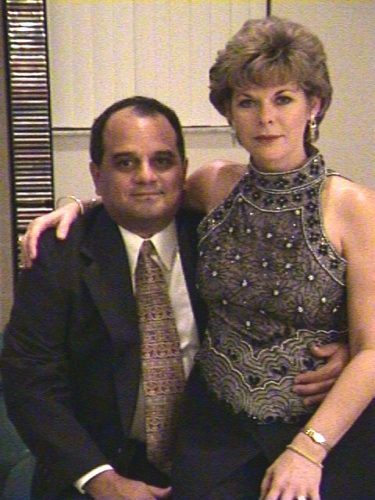 Ivan sent along this picture of himself and his lovely wife Cindy. They are now living in Miramar, FL. Ivan was a member of the international group working in Latin America back in the period of 1976 through 1985. He says he enjoyed seeing most of the "old gang" in pictures, and even recognized most of us. I hate to admit it, but he doesn't seem to have aged a bit! 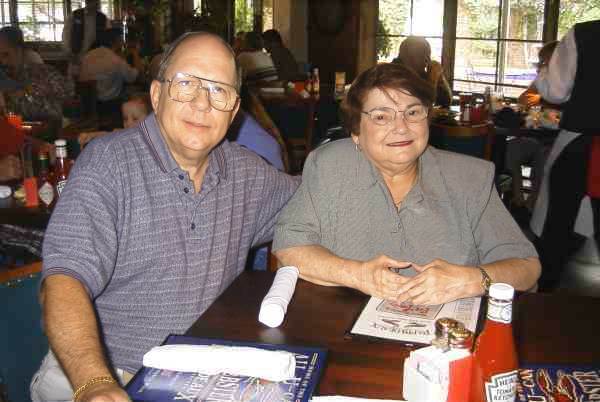 We recently had lunch with Gene and Mollie London. They have sold their Richardson home and are preparing to move to the Houston area in order to be nearer their grandchildren. We wish them all the best, and hope they get back to the Richardson area for visits often. John and Wendy Plant were about to head out to Vancouver for a month or so of vacationing and visiting family. Angie and I managed to go out to eat with them one last time before they left. 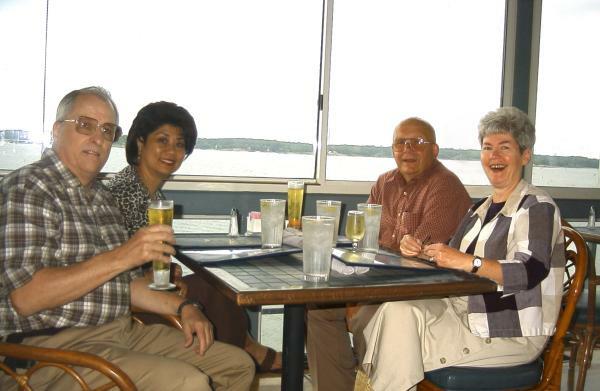 Shawn had told us about the restaurant at Grand Pappy's Point on Lake Texoma, so we decided to try it. Think we'll be going back too. Recently I joined some friends from the Rockwell-Collins-Alcatel days for lunch at the New Mexican Restaurant up in Van Alstyne. 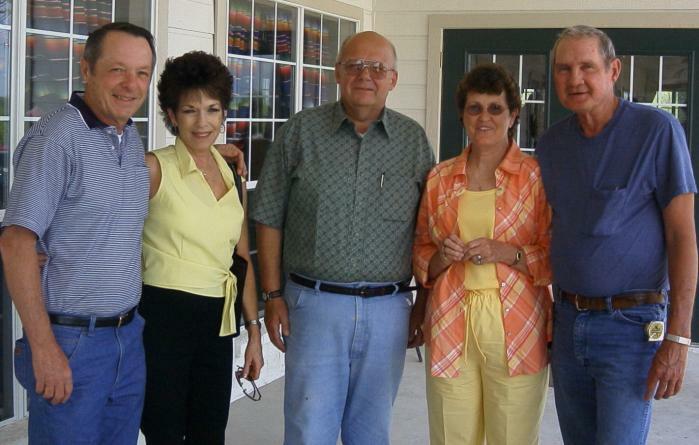 L-R: Dave and Bobbi Kuester, John Plant, Paula and Melvin Brown. 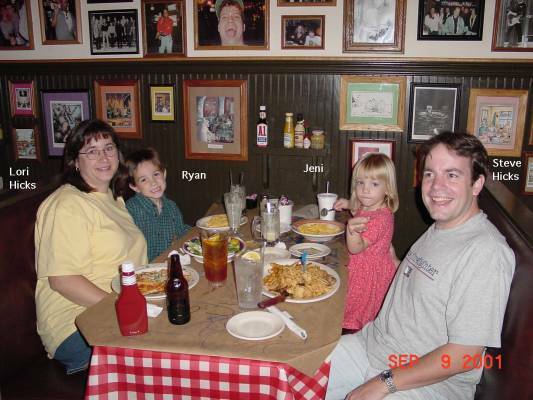 Jim Wallner offered up this photo of Steve Hicks and family. Jim and Connie ran across them at dinner recently. For a full sized picture and more, visit Jim's Web site. 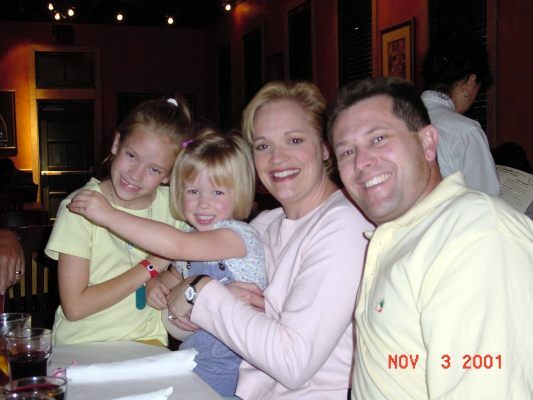 Jim and Connie also ran across Dave and Allison Shultz with their daughters Kaylyn and Lauren. Looks like Dave is really hooked on blondes! Dave has his own business going well now and is putting his experience as an Oracle DBA to good use. Take a look at the Systems Services Incorporated site.